An 'orthotic' is a precise, custom made shoe insert designed to restore your natural foot function. Many complaints such as foot pain, heel pain, knee pain, sprained ankle, and lower back pain are caused by poor foot function. Orthotics re-align the foot and ankle bones to their neutral position, thereby restoring natural foot function. In turn this helps alleviate problems in other parts of the body. Orthotics benefit people with foot pain, knee pain or back pain, due to poor foot biomechanics. Here in Cambodia, and other parts of Asia, many people suffer from Flat Feet. Having flat feet simply means the arch of the foot has collapsed and the foot is rolling in "pronation" (inward). 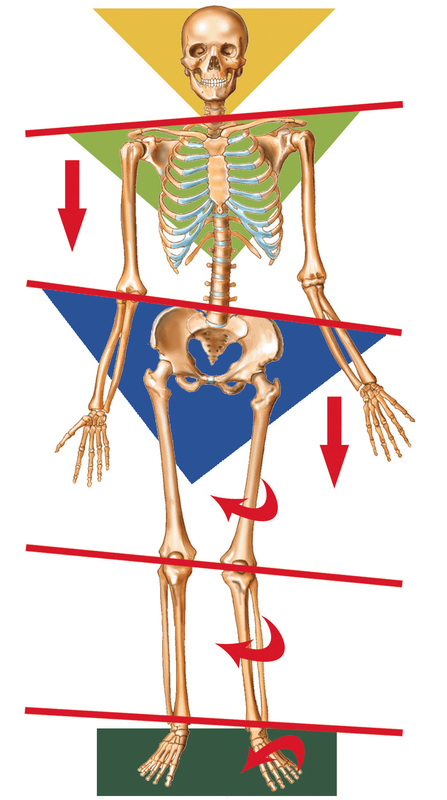 This leads to rotational forces during walking that can damage the ankle, the knee and even the lower and upper back. People suffering from Diabetes also often need a special type of foot orthotic to prevent Ulcers of the feet, which left untreated my lead to infection and amputation. 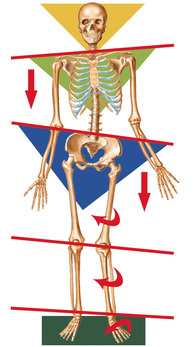 Foot Pronation leads to internal rotation of the lower leg. The most common result of this is knee and or foot pain. Just as there is more than one type of foot problem, there are many different kinds of foot orthotics. The type of orthotics that is used to protect an “at risk” Diabetic foot, is very different than the kind used for an athlete who runs 100 K a week, and different again for a middle aged woman suffering from osteoarthritis of the knee. What is the technology involved into making orthotics? Our orthotics are made by the lab of Dr Brackenbury at ACC in Vietnam. There are quite few steps in making a perfect orthotics. Medical grade foot orthotics are made from a cast, or a scan of the actual foot. No foot or foot problem is exactly the same, even when computers and digital mills are applied in the manufacturing of the foot orthotic, much of the work still must be done by hand. 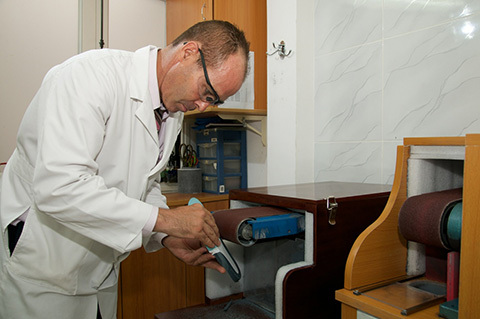 We apply a number of traditional as well as technologically advanced methods for making a variety of foot orthotics. Taking a 3D scan of the foot using the latest in available technology. Corrections are input through the computer. 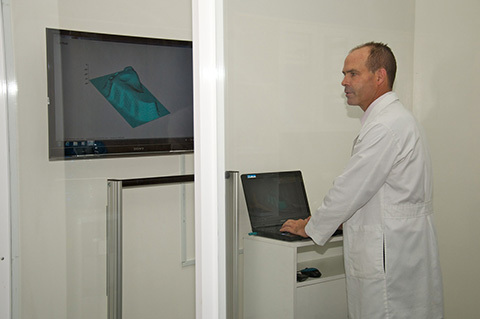 A computerized mill (latest generation in Swiss Cad-Cam process) grinds a multidensity EVA to the exact specification of each foot. Finally orthotics are finalized by hand.